Well, as Magic Johnson found it, it is one thing to be a great athlete, but it is another to be able to communicate that wisdom to athletes so they can be just as great. I love Magic to death, but he was an awful coach. The best example of being a good coach and having never played the game is Indianapolis Colts’ kicker, Adam Vinatieri and his kicking coach, Doug Blevins. Doug has cerebral palsy and never played the game of football. But, he had an extreme interest in it. He learned and studied the game and became one of the best kicking coaches around. I think having played a sport will certainly help you coach that sport, but it isn’t going to define if you can coach that sport well. Let’s take for example me. My last race in track my senior year was the 4x400M at the state championships. I was the anchor leg and was able to just capture 2nd place in the race. But, in doing so, my body started tightening up down the homestretch and what could have been a first place finish turned into just hanging on for second. I remember that race started off real fast. Faster than I usually took the 400M out. But, around 50M I started tightening up. It felt like I was running through mud and my legs were barely lifting off the ground. Now, just because I ran the 400M doesn’t necessarily mean I know how to coach someone in the 400M and help them learn from the experiences I had. 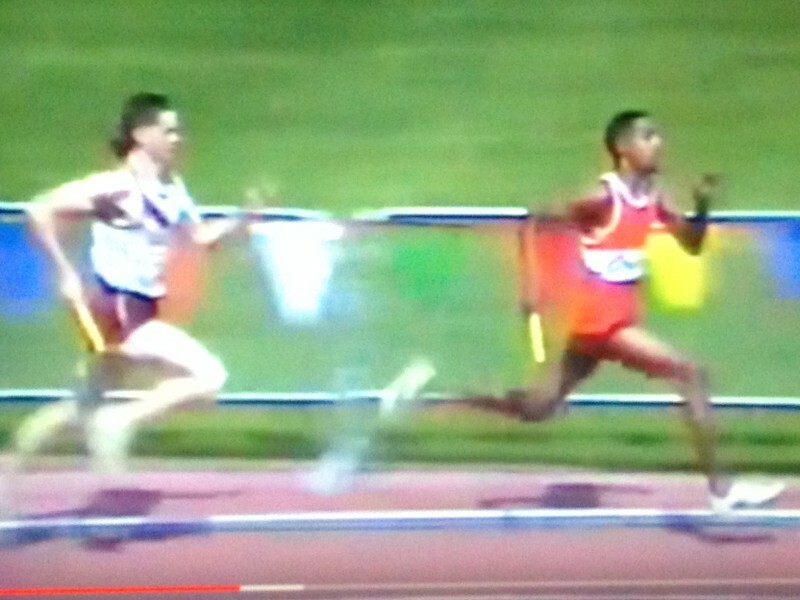 If you had asked me at that age to coach someone in the 400M, I probably would have said, “Run the first 200M as hard as you can and then duplicate it.” If you had also asked me why I tightened up, I probably would have said I needed to train a little harder to blast past that tightening. If you ask me nowadays to examine what happened in that race, I would take my 25 years of coaching experience and picking the brain of top track coaches and give you a little different answer. The first 6 to 7 seconds of any race, you are using FREE energy from the CP (creatine phosphate system). It doesn’t matter if you are going real fast or real slow, it will be depleted in 6 to 7 seconds, give or take, so you might as well accelerate kind of hard. After this first 60M approximately, your next energy system is the anaerobic lactic system. Going at high intensity, lactic acid build up will really kick in at about 40 seconds. A good high school boy may be starting the last 100M of the 400M. How well can you handle that lactic acid build up? One might think this is why you start tightening up. Which could be possible. But, most training by the time you are racing can get the athlete through this stage. So, why is the athlete tightening up? Typically, it is the result of form mechanical breakdown through the pelvis and some of the muscles are struggling to fire. Specifically, the gluteus medius and/or minimus. Get your athlete to start strengthening these muscles if they are a 400M runner and the last 10 seconds of your race (20 if you are a female), will feel a lot different. All that was not learned just by running and being a track runner. That was learned after my athletic career and studying high level track coaches. Picking their brain about the sport and trying to apply what I learn. That is how you can become a coach worth his/her salt in whatever sport you choose to coach in. That and learning how to apply that knowledge to each kid’s personality adapting your coaching style so they can respond appropriately.